How to Provide Safety from Food Allergens for Customers and Within Your Business? 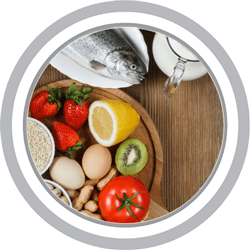 Food allergies are triggered when the immune system sees certain nutritional components as a threat. The reactions range from mild to severe depending on the severity of the allergy. Currently there are over 170 known allergens that can trigger such reactions ranging from a mild rash to death. Needless to say, restaurants need to be aware of these to ensure patrons don’t need to be rushed to the ER. The most common ways allergens can make their way into dishes served to allergic diners include cross contamination, poor training, poor communication with diners and lack of labeling for allergens. The best way to reduce those risks is to create a food safety plan and make sure everyone follows it. It should contain directions for servers who serve customers with food allergies. Determine who will be responsible for answering questions regarding items on the menu. Determine who will check ingredients in each menu item and take note of those that contain allergens. Determine the process food handling staff should take to prevent cross contamination. Determine how staff members should handle an allergic reaction. Staff members should also be trained to ask diners if they have any special dietary requirements so that they can reduce risks. Most diners are more than happy to give this information when they are looking through the menu but some might have to be coaxed. These were just some of the ways to ensure food allergens are kept away from allergic diners. Proper training will reduce that risk further. In severe cases, ingesting these can also prove fatal. Cross-contact is one of the most common ways allergen containing food makes its way to an allergic diner’s table. This happens if different ingredients are placed close enough to touch which makes their proteins mix. At that point each of those ingredients has traces of other food items which are too small to be detected. Plus, cooking will not eliminate those elements or reduce chances of a person with food allergies reacting adversely to them. The best way to prevent this from happening is to train your staff to keep a sanitary kitchen. This includes washing, rinsing and sanitizing all utensils, cookware and the equipment they use and especially those that are kept separate for allergic patrons.